(piano, marimba, vibraphone, metal percussion). Commissioned in 2003 by Teresa McCollough. Three movement work. 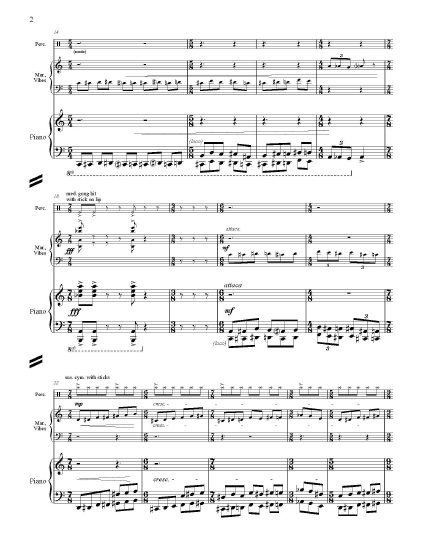 39 pages (score), 8.5" x 11". Premiered in April 2003 in San Francisco, CA. At the Abyss is featured on the Innova Recordings CD, Music for Hammers & Sticks (innova 630). Click CD for more info. Listed as one of the Sequenza21 10 Best CDs of 2005. At the Abyss is featured on the 2007 Innova Recordings CD, Notes from the Kelp (innova 683). Click CD for more info. 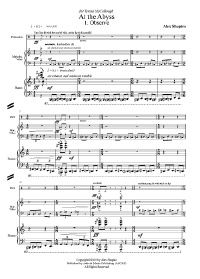 Score and parts available from Activist Music: $40.00, print; $28.00 digital. During the time I composed this piece, October 2002, too many sad, threatening and violent events throughout the world offered proof of the terminal fragility of humans and of our planet. Politically. Ecologically. Ethically. I titled this piece At the Abyss because as members of a species which remains too savage for its ultimate group survival, we're staring directly into a huge crevasse that is our future. We are poised to plummet to its depths if we do not act accordingly. The three movements are "Observe," "Reflect," and "Act".... akin to my three-step approach to life in general. In this instance, I'm observing the world, and stepping back to reflect on it in grief while accepting that there's only so much that will change. Finally, I realize that the least one can do is... act. In one way or another. 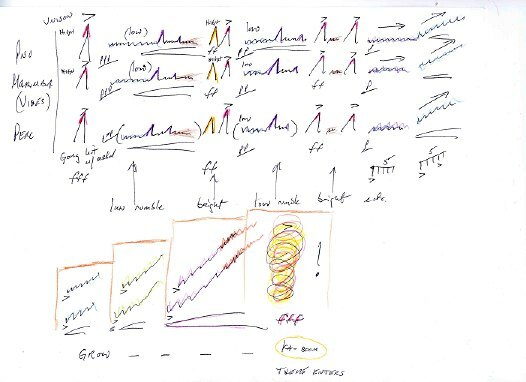 Alex Shapiro sometimes makes an abstract drawing of what the music sounds like in her head, prior to putting the notes down on a scorepad. from the international music fraternity Mu Phi Epsilon. 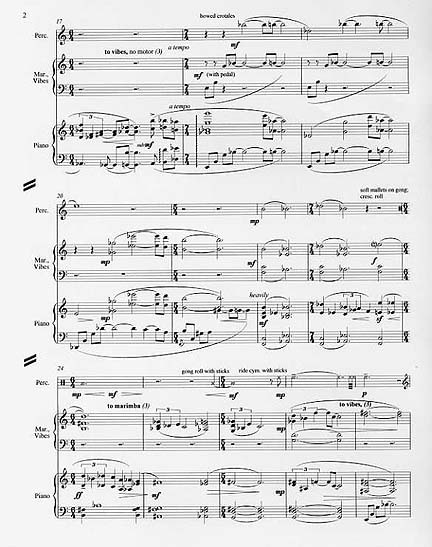 Featured in the American Music Center's catalog of works composed in response to September 11, 2001. Click here for info. 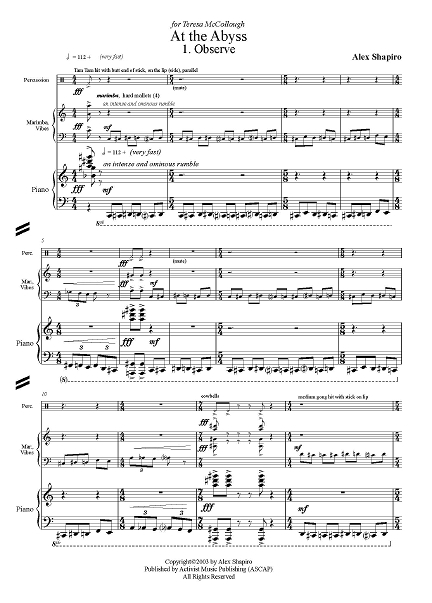 "Act," the final movement of Alex Shapiro's three-part suite "At the Abyss," has a freneticism and spontaneity to it that is usually associated with jazz improv, but as far as I can see—Alex features a healthy portion of the score on her website—everything in this trio for piano and two percussionists is completely written out. Further proof of how simpatico pianist Teresa McCollough is with her percussionist cohorts Peggy Benkeser and Tom Burritt on this innova CD. I heard them pull this off live at Carnegie's Weill Recital Hall last season and that gig left me wishing I could hear it again and again. Now I can!" "...a spiky, exhilarating, energetic kind of music with a tremendous range of textures and dynamics." 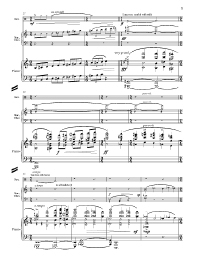 "This musical reaction to the many sad and violent events occurring throughout the world is scored for piano, with Thomas Burritt playing marimba and vibraphone and Peggy Benkeser playing percussion. 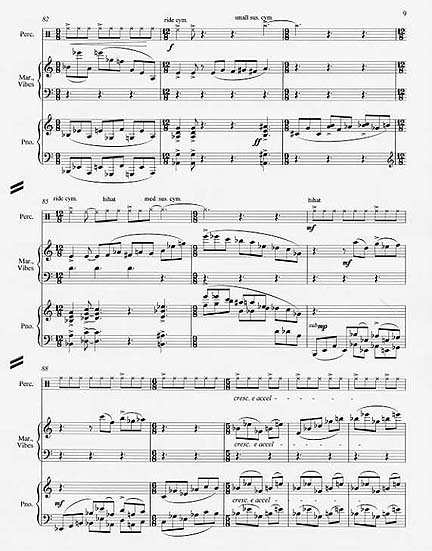 The second movement in particular is striking. The mood is very compelling, and Shapiro skillfully uses keyboard percussion intertwined with the piano and bowed crotales and cymbals throughout. The third movement is a workout for the marimba and vibes as they take the lead much of the time. This very intense movement is based on a recurring complex melodic figure that is relentless. It finally builds to an exciting climax. 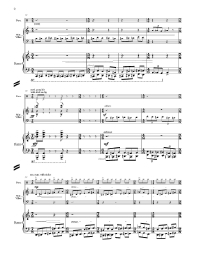 This piece will be an excellent addition to any percussion concert.... "At the Abyss" should be considered by any percussionists looking for great literature to perform." 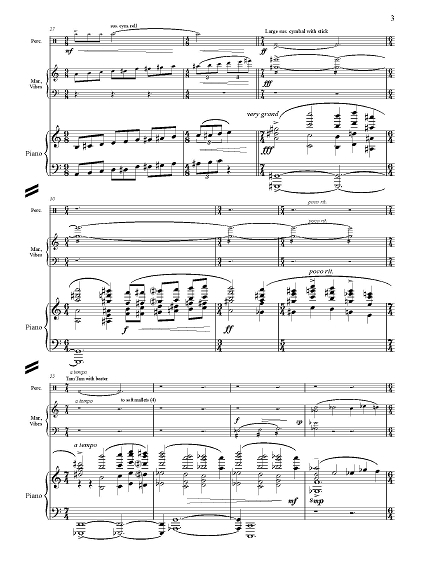 "Three reflections on the present state of our species and its relation to our planet are the substance of “At The Abyss”; a work scored for piano, marimba, vibraphone, and percussion. The three named, complexly contrapuntal movements are, “Observe”, “Reflect”, and “Act”. The first is mad as hell, and the second and third, determined not to take it any more."